Keith Dixon is a Partner at Rutledge Financial Partners, LLC with more than two decades of experience in the financial services industry. Serving a diverse range of clients, from career professionals and pre-retirees to businesses and corporations, his goal is to help clients feel more confident in their financial future. He strives to provide individualized attention to each person he works with, taking the time to listen to their concerns and understand their dreams. From there, he works with his clients to find investment opportunities that align with their financial goals. In all that he does, he hopes to bring people’s dreams more within their reach. 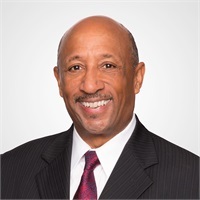 Before joining Rutledge Financial Partners and LPL Financial, Keith worked with several nationally renowned firms, including serving as Vice President of Wachovia Securities and as a financial advisor with Ameriprise Financial. Prior to entering the financial services industry, he proudly served in the U.S. Navy. Keith studied Business Administration at University of Maryland College Park and hold his FINRA Series 7, 9, 10, 24, and 63 registrations with LPL Financial and his Series 65 with Independent Advisor Alliance. Passionate about staying up-to-date in his industry, he is designated as an Accredited Portfolio Management Advisor (APMA®) and a Chartered Retirement Planning Counselor (CRPC®). Keith currently resides in the Charlotte, North Carolina area. He is an aviation and astronomy enthusiast, and he enjoys teaching tennis, catching the latest National Geographic documentary, and staying active in his community.